It’s been a wild last few weeks fishing for me. I’ve fished Hudson, Port Richey, Clearwater, Tarpon Springs and even St. Petersburg. This cooler weather sure has made the water come alive. 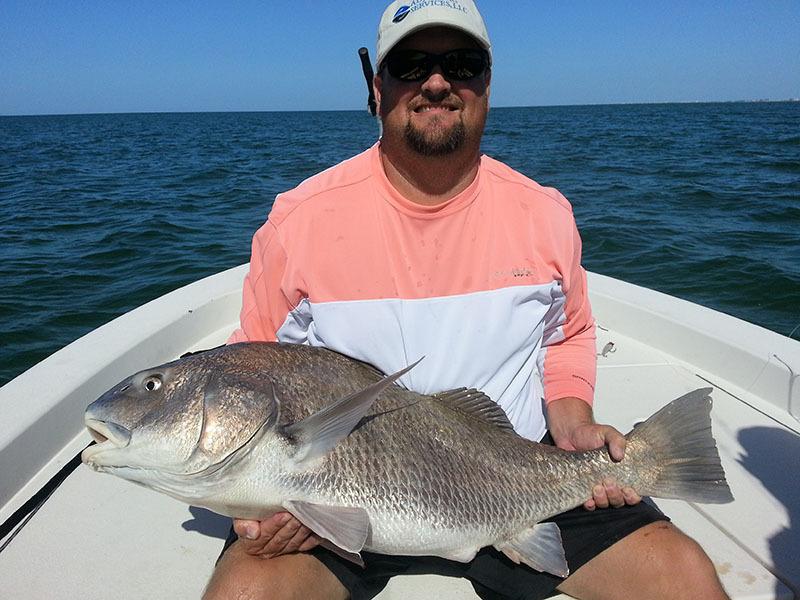 The beaches are absolutely loaded with bait-fish and that has brought in all types of fish. Port Richey and Tarpon Springs have really seen the trout bite heat up. Bigger fish are starting to show up and you best bets at numbers as well as bigger fish is to hit up large potholes near the barrier islands on low tide. Trout are stacking up in them when the water drops out and they are eating good. Redfish haven’t been schooling up in the really big schools yet but you can find groups of up to 100 of them in St. Petersburg if you know where to look. Hit those fish up on high leaving water but start looking for these schools to get bigger. You may find all sorts of surprises running the beach right now. While running around looking for spanish mackerel school this past week we found everything from cobia to black drum to sharks. Keep your eyes peeled as you run the beaches or the next few weeks. Right now we’ve been shut down for the past few days due to the high winds sent over from Hurricane Sandy. It looks like it will be mid-week next week before the winds die down a bit. The shallow water stuff shouldn’t be affected much from the high winds but even after the winds lay down, search for the cleanest water you can find for trout and spanish mackerel.